If brush lettering and colourful designs fascinate you, Manya Kumar's Skadooosh Studio does a whole series of stationery and home decor pieces featuring them. But what we love and you will certainly love the most are series of brush lettered funny and whacky quotes that you can also get customised with the quote of your choice. These quote works are later made into wall frames and posters which you can pretty much hang anywhere in your space. Or gift it to that one friend who loves everything artsy and cutesy. For the stationery fiends, the planners, postcards, bookmarks, and sketchbooks are what we recommend. The 2019 planner is something we are adding to our cart as each month comes with its own vibrant and colourful artwork and inspirational quote! Oh, the postcards! Those are a thing of beauty themselves, so much so that you just want to buy them and hang them up as decor pieces and not use them for what it is intended for. 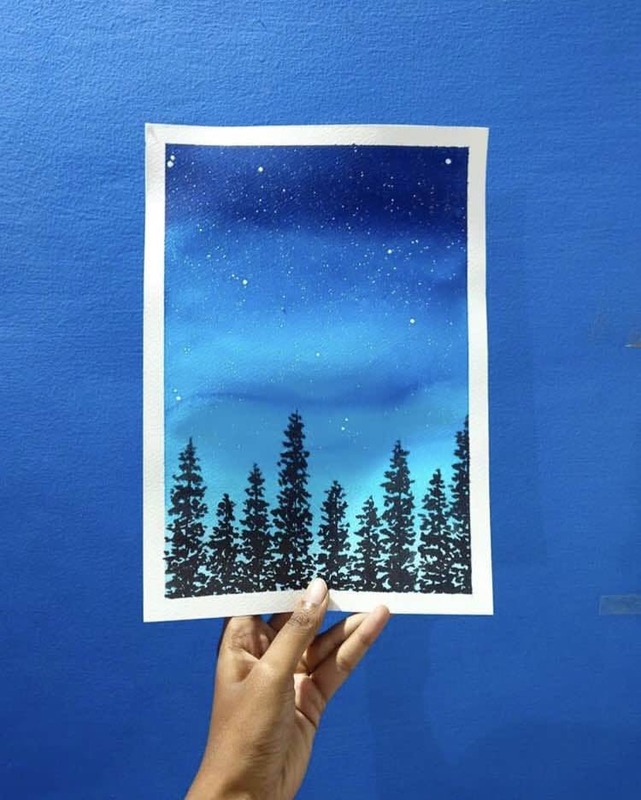 These come with colourful artwork inspired by the woods, nature, and the stars!